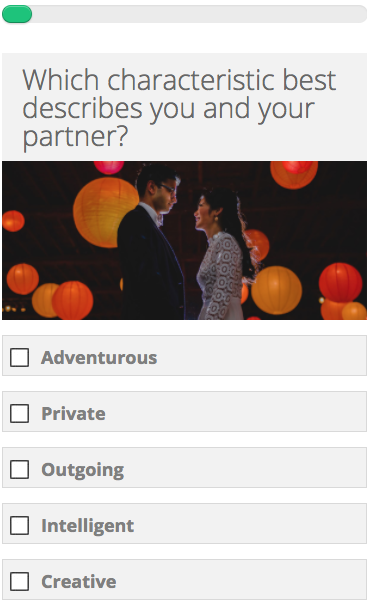 Which characteristic best describes you and your partner? What type of holiday would you and your partner prefer? What's your ideal wedding attire style? Which word best describes your dream wedding day? Which flowers would you prefer at your wedding? Getting lost in the big city! What type of music would you want at your wedding? What style of food do you want at your wedding? The Caribbean is the perfect destination for your special day! With over 7,000 sun-drenched islands and stunning 5-star resorts galore, the Caribbean is a tropical hotspot for lovers of sun, sea and cocktails! South Africa is the perfect destination for your special day! Combining stunning mountains, exotic wildlife and beautiful coastline, South Africa is the ideal location for adventurous couples looking for an action-packed wedding and honeymoon. Japan is the perfect destination for your special day! Whether you want to immerse yourself in the world’s largest and most innovative city, Tokyo, or prefer the simple beauty of some of Japan’s coastal towns, Japan is a truly memorable wedding destination. Austria is the perfect destination for your special day! 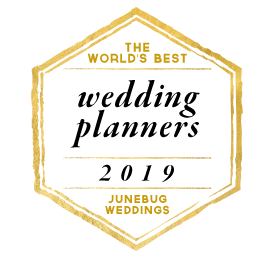 Whether you prefer a winter or summer wedding, Austria’s magical alpine resorts and lush lakeside villages make this a picturesque wedding destination. Italy is the perfect destination for your special day! Italy is a romantic location ideal for lovers of beautiful food, quaint villages and spectacular scenery. With beautiful islands, mountains and coastline, Italy is a diverse location full of possibilities. France is the perfect destination for your special day! Whether you want to say ‘I do’ in the cultured and vibrant ‘city of love’ Paris or prefer a medieval chateaux in France’s wine-making heartlands, France is one for the romantics!